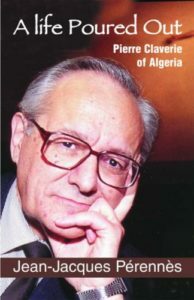 Jean Jacques Pérennès, A life poured out: Pierre Claverie of Algeria, Orbis Books, Maryknoll (NY), 2007, 300 pages. The killing of Dominican Pierre Claverie, the bishop of Oran, and his young Muslim assistant, on August 1, 1996, was both a symbol and the epitome of the mayhem that had gripped Algeria for several years. For Claverie, it was the culmination of a remarkable and courageous journey of faith. Nothing in his origins as a French pied-noir, born in Algeria in 1938, would have indicated his eventual emergence as a leading figure in his country’s search for a peaceful future. In laying down his life for the cause of reconciliation and peace among religions, he belongs in the company of Archbishop Romero, Martin Luther King, and other great witnesses of our time. This entry was posted in Publications and tagged Pérennès by Jean. Bookmark the permalink.